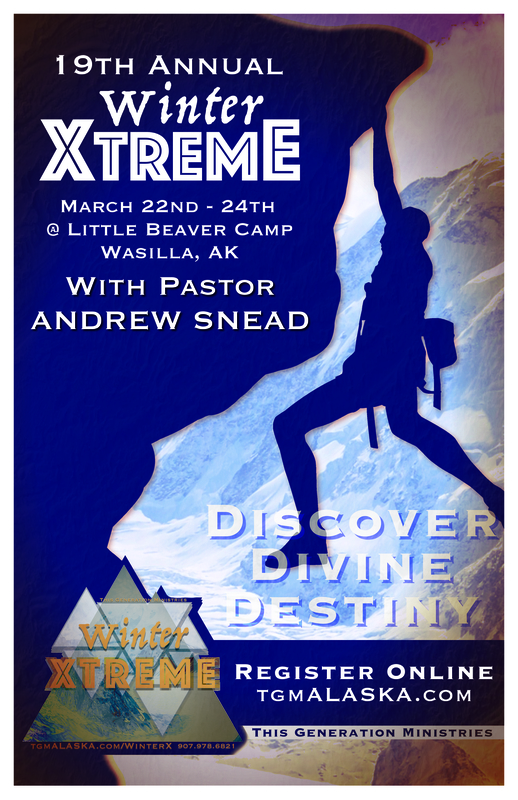 Please completely fill out the form below to register for Winter Extreme 2019.
where you can pre-pay the $180 for camp. Medical/Dental Consent: I authorize This Generation Ministries and Faith Harbor Fellowship, in whose care my child has been entrusted, to (1) facilitate the taking of my child’s prescribed medications; (2) administer routine medical care for minor injuries and illnesses; and (3) in my absence, consent to any emergency medical, surgical, or dental diagnosis or treatment, and hospital care to be rendered to my child on the advice of any licensed physician, dentist, or other health care provider, and I will be responsible to pay all costs incurred in connection with such medical and dental services. Release: For myself and my spouse (if any), and on behalf of our minor child, I release, discharge, defend, and hold This Generation Ministries and Little Beaver Camp and their officers, directors, employees, and volunteers, harmless from and against any and all claims, expenses, and any other liabilities related in any way to injuries or other losses sustained by my child as he/she attends, participates in, and travels to and from the activities and facilities of Little Beaver Camp. Model Release: I understand that this event will have audio and video recording, and photography and I consent to allow This Generation Ministries and Seed Media to use the media captured for their own purposes, including (but not limited to) event promotions and social media posts. Clicking the submit button below will send us your registration. If you are able to prepay for this event and want to be eligible for a free tee-shirt, you will have that opportunity after submitting this form. TGM is does not refund registration for camps, conferences, concerts or any event we provide. These events take a tremendous financial investment and these event costs are utilized prior to a given event. We are sorry if this inconveniences any of our participants.